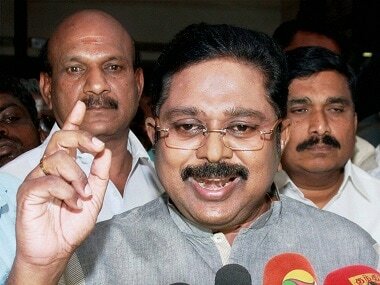 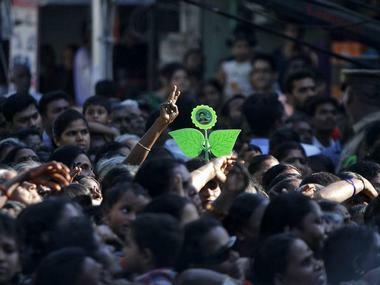 TTV Dhinakaran also claimed that his Amma Makkal Munnetra Kazhagam (AMMK) would 'retrieve' the ruling party. 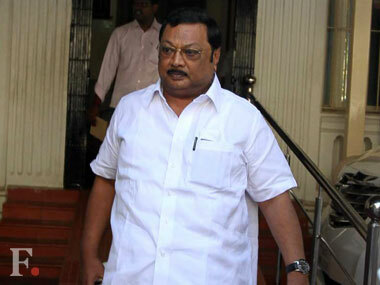 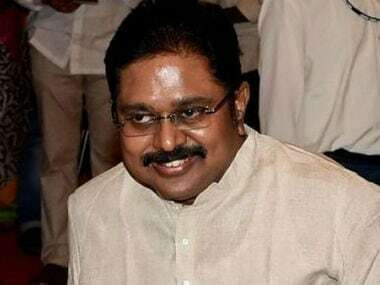 DMK president-in-waiting MK Stalin should be wary of what his brother Alagiri could do if he joins hands with former AIADMK leader TTV Dinakaran. 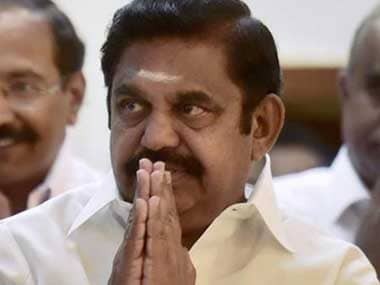 The Chief Justice of Madras High Court upheld Tamil Nadu Speaker’s order disqualifying 18 AIADMK MLAs owing allegiance to sidelined leader TTV Dhinakaran. 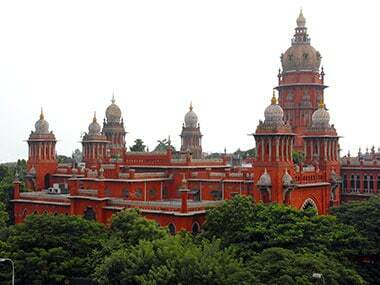 Justice Sundar disagreed. 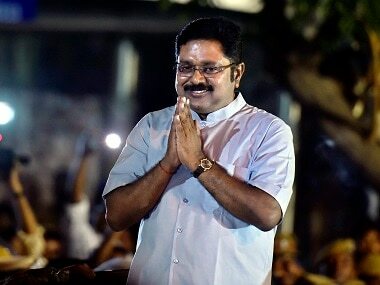 The Madras High Court has delivered a split verdict in the disqualification case of 18 MLAs loyal to sidelined leader TTV Dhinakaran. 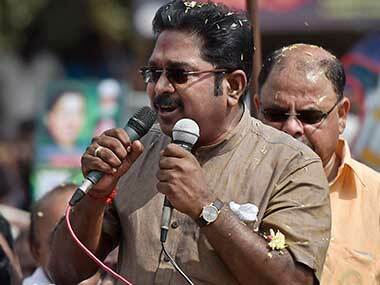 Sidelined AIADMK leader TTV Dhinakaran (also spelt as Dinakaran) floated a new political party "Amma Makkal Munnetra Kazhagam" on Thursday.